Though the launch of the "iPhone 8" is months away, case makers have already started creating cases for the device based on leaked design renderings and schematics. 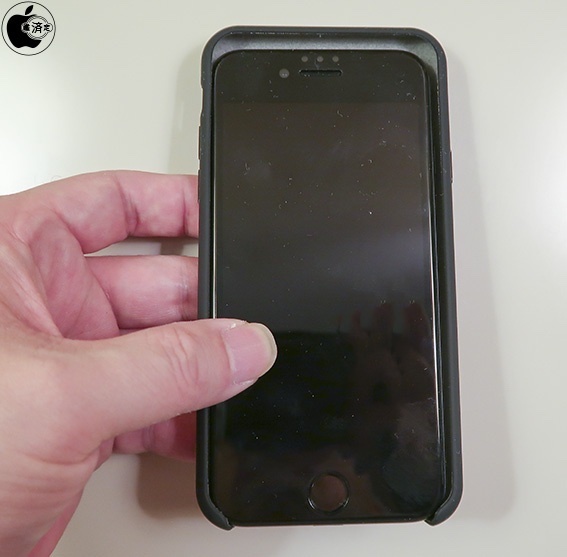 A case designed for the iPhone 8 surfaced on Alibaba, and was purchased by Japanese site Mac Otakara for a series of images and a video. We've already seen some iPhone 8 cases so the design shouldn't come as a surprise, but this particular case includes comparisons to both the iPhone 7 and the iPhone 7 Plus, giving us a clear picture of how the iPhone 8 might fit into the iPhone lineup if the case design is an accurate representation of the finalized device. As can be seen in the images, the case is a good deal smaller than the iPhone 7 Plus, but slightly larger than the iPhone 7. That's in line with rumors suggesting the iPhone 8 will be similar in size to the iPhone 7, but with a display that's much larger (and edge-to-edge), closer in size to the iPhone 7 Plus display. 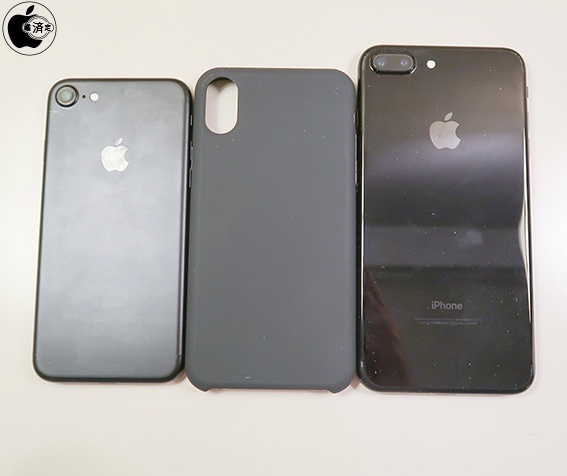 An iPhone 7 placed directly inside the case suggests the iPhone 8 will be about the same width as the iPhone 7, but quite a bit taller. Rumors have also suggested the iPhone 8 will be slightly thicker than the iPhone 7 and 7 Plus, and Mac Otakara says the iPhone 7 is noticeably thinner, with the case being "quite loose feeling." Leaked design renderings and schematics have suggested the iPhone 8 could measure in at 144mm tall, 71mm wide, and 7.7mm thick, compared to the iPhone 7 dimensions of 138.3 x 67.1 x 7.1mm. 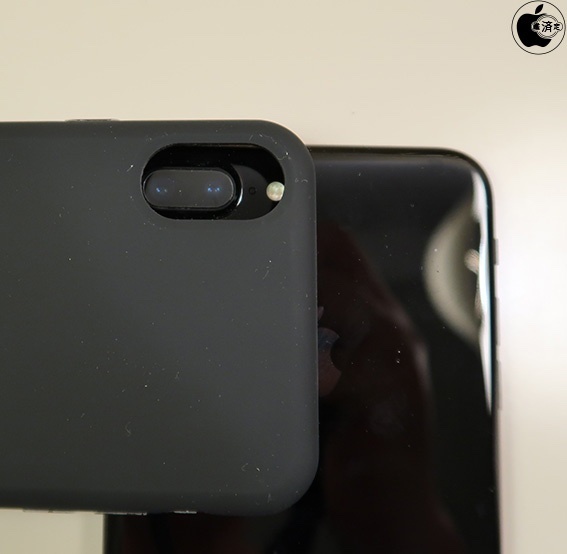 The case features a vertical camera cutout to accommodate a rumored vertical dual-lens camera, which may be larger in size than the camera in the iPhone 7 Plus, based on a comparison. Volume buttons, the power button, and other ports seem to be in generally the same location as the current iPhone 7, with some small variations. The volume buttons and the mute switch are the same size as the buttons on the iPhone 7, but the spacing is slightly different. Because Apple has tested multiple iPhone 8 prototypes, it's difficult to determine whether this case accurately depicts the final design of the device. Most of the rumors and design leaks have centered on a device that's similar to the iPhone 8 case Mac Otakara purchased, with no visible Touch ID button, but we've also seen leaks featuring an aluminum device with a rear Touch ID button. Once we start seeing legitimate part leaks, we should have a much better idea of what to expect when Apple introduces the iPhone 8 this fall. As long as Touch ID is on the front, I'm in. I'm really liking the "in-between" size of the device with a screen closer to the Plus ... Perfect combo! I think it's clear now that Apple want to drop the smaller-larger paradigm and go back to having just one product. Fine by me! I always felt that the regular iPhone 6, 6+, 7 was too small, but that the Plus sizes were too big. This seems like a brilliant in-between size. I am so EXCITED for all the 100-page OLED burn-in threads, just a few more months!! !